We offer complete garden installation which includes planting bed preparation with soil and compost. The planting of trees, shrubs, perennials, groundcovers, bulbs and annuals will be done according to the landscape plan that has been designed especially for you. After we provide you with a landscape plan prepared by our experienced designers, our well-seasoned crews will install your entire landscape. From beginning to end, you can trust Burnett’s Landscaping to deliver a high-quality experience and results you can’t wait to show off. Your landscape designer will lay out your project in the field, and will check in with the landscape crew at critical points of the job. Plant material is obtained from local sources, and is specially ordered just for your project. All work carries a one year warranty; we are most concerned about the success of your landscape! Burnett’s Landscaping uses the finest quality hardwood mulch products. Mulch is used to improve moisture retention and to reduce the incidence of weed growth. 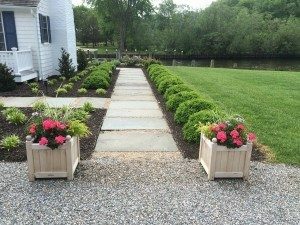 An added bonus is the tidy, finished appearance it will lend to your landscape. At Burnett’s Landscaping, we use only premium mulch products. For a well-groomed garden, call us today! For Bed Weed Control, visit SafeLawns of Salem today! We offer routine GardenCare using a maintenance schedule suited to you and the needs of your property. One of the most popular services that we offer is our continuing GardenCare. We know that providing you with a perfectly planted garden is not the end of the story. 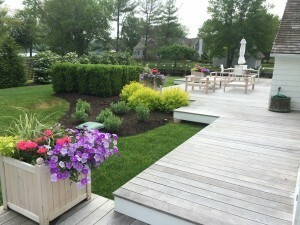 Each landscape requires a unique care plan in order to keep it looking beautiful. We will create a GardenCare schedule that is suited to you and your landscape, whether it’s weekly, monthly, or a few times during the season. 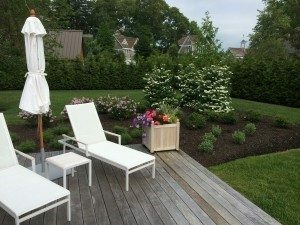 The Burnett’s Landscaping GardenCare team can provide: weeding, bed edging, deadheading, planting of annuals and containers, specialty pruning for roses and hydrangeas, and more. For insect and pest control, visit Tree and Shrub Care at SafeLawns of Salem.